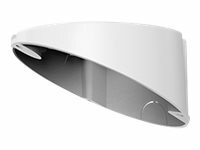 As well as an extensive range of network cameras D-Link has a wide range of accessories and useful extras to help put the finishing touches to your IP surveillance solution. 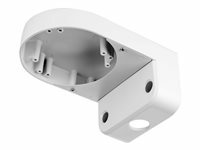 Accessories such as mounting brackets, in a variety of shapes and sizes, enable cameras to be more easily installed and cover the widest possible area. 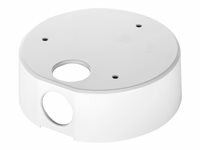 Casings to enable supported indoor cameras to be used outside but also protect the camera from extreme conditions and temperatures are also available. D-Link also provides weather resistant outdoor power unit adapters to enable cameras without this feature built-in to be powered. Other accessories include third-party illumination and units for day and night operation. The DPE-101GI Power Over Ethernet (PoE) Injector is designed to supply a power and data connection to PoE devices such as an IP Camera or Wireless Access Point. The DPE-101GI gives you the ability to mount your PoE device virtually anywhere in a building, such as on ceilings or near entryways, by eliminating the need for a nearby power outlet and attached power supply. 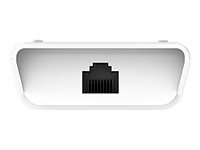 D-Link’s DPE-101GI combines electrical power with a Gigabit network connection and produces a Gigabit Power over Ethernet (PoE) signal, allowing a single Ethernet cable to carry both data and power to a device.